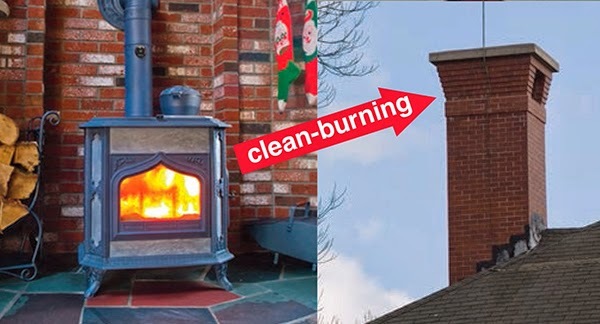 Woodstock Soapstone Co. Blog: Sign Our Petition for Clean Stoves & Clean Air! To sign our petition supporting cleaner wood stoves and cleaner air, click here. We have listened to both sides (state air regulators and the woodstove industry) in the debate over the new EPA regulations. We have concluded that the new regulations are (1) the “right thing to do” because the public health benefits outweigh the costs of compliance, and that (2) clean, efficient and affordable stoves can be made under the proposed new standards. We initiated our petition because we wanted to let the EPA know that we think their targets are achievable, and to give a voice to wood burners who care deeply about wood heat and want to push the industry toward higher efficiency and lower emissions. The US EPA has proposed new regulations for new wood stoves and pellet stoves, indoor and outdoor wood furnaces, and masonry heaters. (The word new is underlined, because the regulations do NOT apply to existing stoves.) These are the first new woodstove regulations since 1988 (over 25 years). These regulations would apply in two steps, the first coming in 2015, and the second in 2020. For the 2015 first step, about 85% of wood and pellet stoves curently manufactured and certified would meet the standard. Only the dirtiest stoves would lose certification. Outdoor wood furnaces are not covered under existing regulations and have been controversial due to high emissions. They will now be regulated. Masonry heaters have lobbied to be included in the new regulations because it provides them with the opportunity to prove that they are a clean alternative to other biomass options. For the 2020 second step, allowable emissions are reduced considerably for all appliance categories. For wood stoves, the new emissions limits would be 1.3 gm/hr on low and high burns. We know these targets are achievable. Most in our industry are opposed to these new regulations for predictable reasons (too expensive, not enough time, unreasonable emissions limits, and so on). We heard the same excuses when the EPA regulated car emissions, diesel exhaust, and power plants, and when smoking was eliminated from public places. Join us in supporting cleaner wood stoves and cleaner air. Click here to sign our petition. P.S. This petition is co-sponsored by the Alliance for Green Heat. Why? The answer is simple: we sent the petition to the Alliance for Green Heat for proofreading before publication, and they offered to co-sponsor it! We are grateful for their support! Hi Tony, if the proposal is implemented as proposed, then yes, decisions would need to be made regarding the reengineering of some of our legacy stoves to make sure they are compliant. We've reengineered several of our stove models in the past (Palladian and Fireview included) and it wouldn't be a huge uphill battle to do it again.